Biggest news in my life right now is that everything is covered in snow. It has been dumping snow here the last few days and is supposed to continue all week. I think the worst part of it all is that I live way out of the boonies and have to drive into town for work. Thank God we have awesome snow plows in town. It has certainly put me in the cozy mood for reading by the fire though! I did have the joy of seeing a hilarious tweet thread regarding Seattle and it’s “snow”, click here to see them. Now mind you, Spokane certainly has gotten hit a lot worse, so us east sider’s look at the west side and just roll our eyes. So this spread looks pretty simple right? It was so tedious that as soon as I started I immediately regretted it. I did like the end result though! I accidentally ripped the right page a little so I put a little washii tape down on the edges to cover it up. We’ll just be like Bob Ross and call it a happy little mistake. Do you like simple or complex spreads? Do you like my new spread? 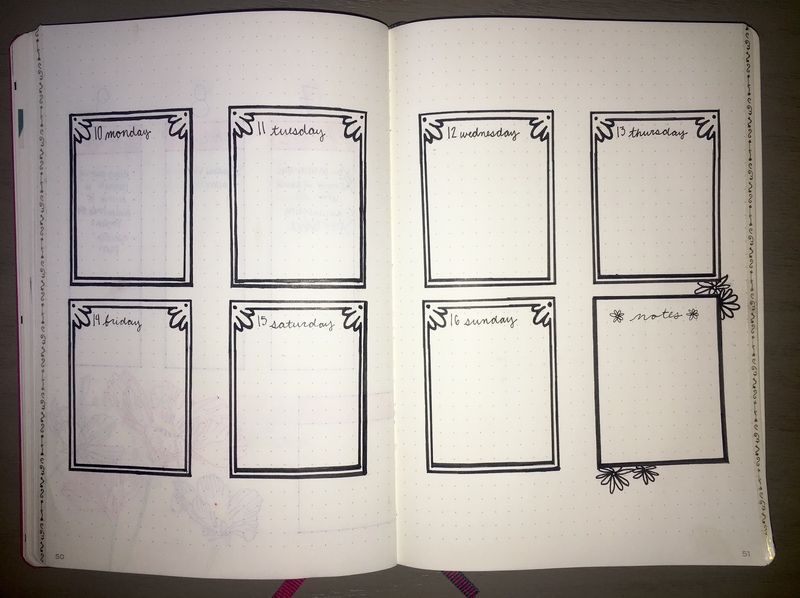 Do you use your BuJo daily? Have any fun bujo hacks? Who do you like to follow on Instagram? What types of tools do you use?